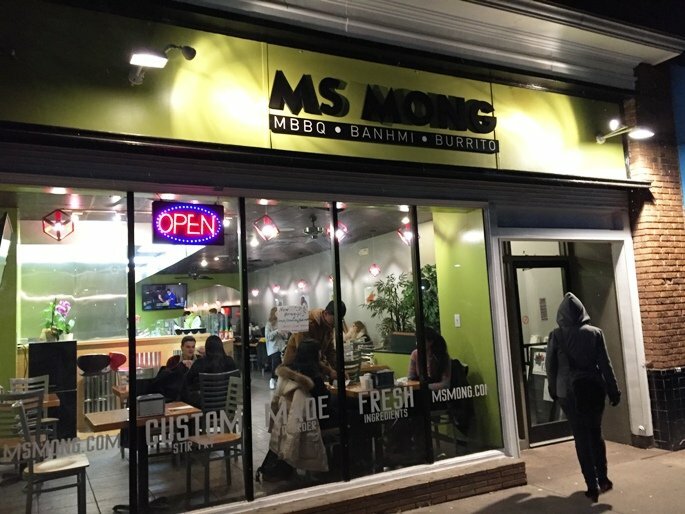 Out on Franklin Street you’ll find a slew of college-friendly eats including the new Ms. Mong! 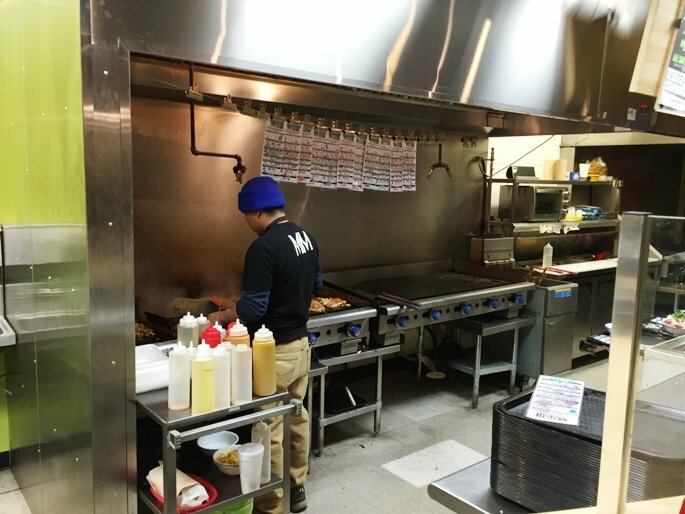 Brought to you by the folks at the popular Bali Hai in Raleigh and Durham, Ms. Mong does mongolian barbeque and throws in some banh mi on the menu for good measure. Heading out to the Thrill for a basketball game, I stopped in for an early dinner and eats on Franklin Street. From the outside, just look for the neon green signage showing you exactly where Ms. Mong sits on Franklin. 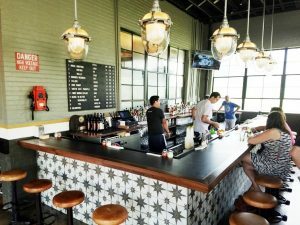 Inside, Ms. Mong is equally brightly colored and filled with young’uns from UNC Chapel Hill. Honestly, I’m not sure if anyone was above the age of 30 until I stepped in! But the busy dining room is a good sign of the eats here, eh? 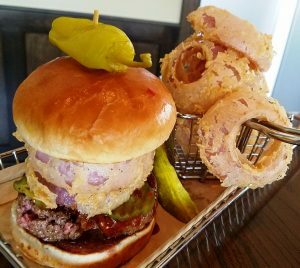 Even with a short menu, ordering might be tricky here at Ms. Mong. 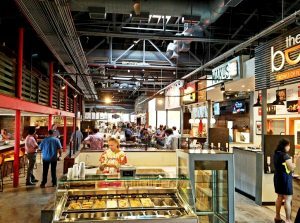 You basically have a choice of a rice or noodle bowl or six banh mi options. 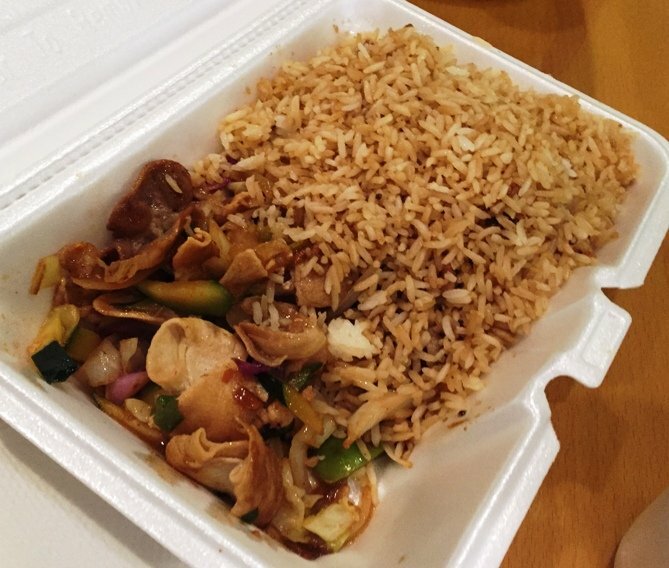 The tricky part is that for the bowl, you’ve got a choice of three different sizes or burrito, seven different proteins (beef, chicken, pork, turkey, tofu, fried tofu), eleven different add-in’s (onions, green onions, peppers, carrots, mushrooms, etc), four different carbs (rice or noodles) and then five different sauces. Choose your spice level and phew, you’re done! 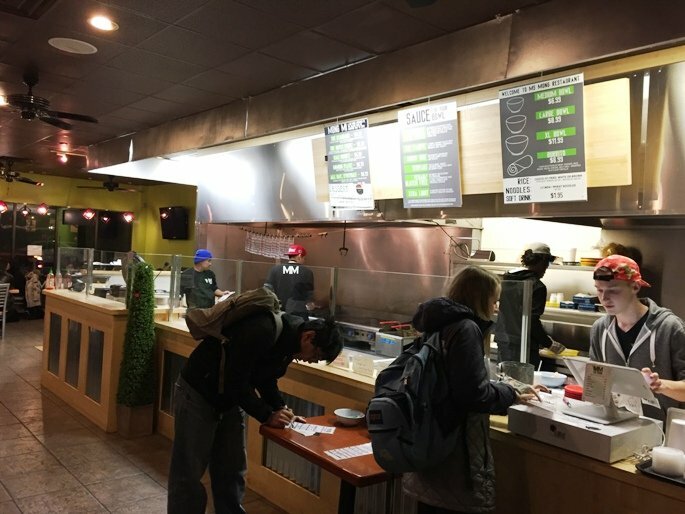 You mark your bowl order on a card and pay at the cash register. I ordered up a medium rice bowl with Pacific sauce along with a Cali Sunset banh mi for dins. Unfortunately they are out of beer (?!?) tonight. 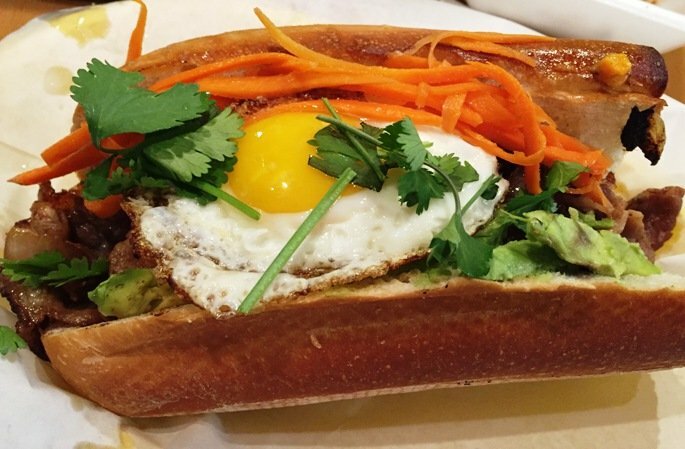 I jump into the banh mi first which has a fried egg on top along with the normal banh mi accoutrements (cilantro, carrots, jalapenos). The pork is very thinly sliced and grilled, the egg makes for a good hit of protein. Add in the avocado and great bun and the banh mi at Ms. Mong is a great bite. Recommend it for sure. The rice bowl isn’t as much of a hit. It looks pretty bland in comparison and is mostly rice. Just a small heap of meat and veggies in the corner which is a bit surprising given the price. It tastes fine but certainly not anything special. Service at Ms. Mong is polite but inexperienced given the young staff.